My biggest weakness when it comes to collecting beauty products has to be brushes. No matter the style, shape or if I happen to have duplicates in my collection - I'll take 'em! I have heard about Shiseido in the past but never had any of their products in my collection. When I saw their brushes, I knew they were the first things I wanted to try. They're sleek, well made and a breeze to work with. The Shiseido blush brush was the first one that caught my eye. I'm always looking for that one brush to apply my cheek products perfectly. This particular one is the perfect blend of density and softness to pick up just the right amount of product and blend it effortlessly. It's a smaller size so it's great for targeted application. No matter what blush I reach for, it picks up and applies the pigment evenly across the cheeks. You can also use this brush for bronzer and highlighter. It's a great multi-tasker! It's also incredibly soft. The natural bristles are a great texture and wash beautifully. 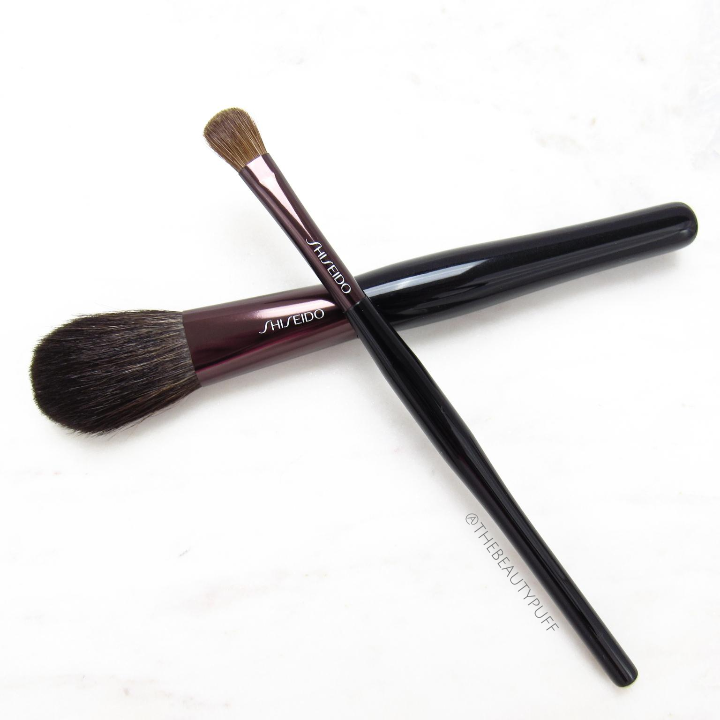 The Shiseido eyeshadow brush is another gem that really impressed me. You can never have too many brushes to pack color on the lid. I'm surprised every time I see how much product this brush picks up. It really makes my eyeshadows perform their best - even some stubborn shades that I would typically have trouble building up. I use this brush to put color all over the lid and have also used the tip of it for my lower lash line when I'm in a rush. It's soft and makes blending a breeze. Not only have these brushes performed well but I also love their sleek design. The handles are slim and comfortable to hold. They also aren't too long which makes them a great choice for travel. You can find these, and more Shiseido products, on the Notino website below.